CJSC “Artsakh Fruit” was founded in 2007. The construction started in January 2008 and was successfully completed by June 2008. After a very short period of time a modern food processing cannery was built, conforming to all the necessary requirements. The modern equipment, along with the high-quality technology, and the use of organic products, allows us to preserve the unique taste and quality of the fruit and vegetables. Our products are very popular among consumers both in Armenia and abroad, thanks to its natural taste and price competitiveness. CJSC “Artsakh Fruit” participates at exhibitions in Armenia and abroad. 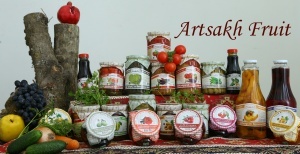 Each year CJSC “Artsakh Fruit” expands the range of its activities, increasing the volume and variety of products, while ensuring its high quality. “Artsakh Fruit” customers can be assured of its excellent quality, taste of home and beneficial properties, as we only use natural raw materials in the production process. The factory is equipped with modern machinery and there is a private research laboratory. Great attention is paid to the quality control of all raw materials and the finished products. Qualified staff, high-level production experience and its own unique recipe – all our resources to prepare natural products with homemade taste in an industrial environment. 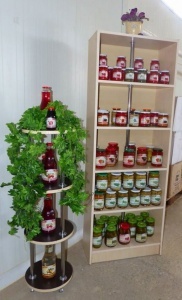 The company offers a wide range of products: canned vegetable, pickles, preserves, jams, fruit syrups, compotes. New product lines are also under development. Modern processing technology allows us to preserve the natural taste and aroma of the berries and fruits, as well as the healing properties of nature. We believe that mutual respect and cooperation with partners, customers and all fans of our products will only grow stronger!